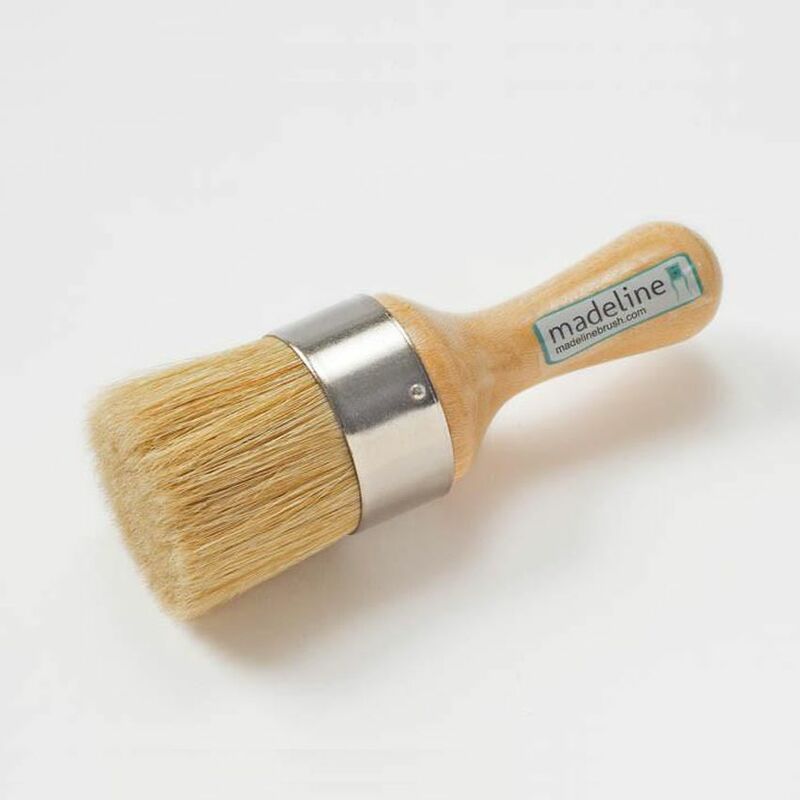 MADELINE WAX BRUSH: Made with lovely, high-quality 100% natural white bristle, these brushes are glued with deep set epoxy to ensure minimal bristle loss. 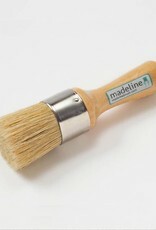 The long, full bristles are firm yet flexible for the smooth application of any furniture wax. 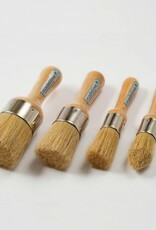 It has a flat tip for all-over wax application. 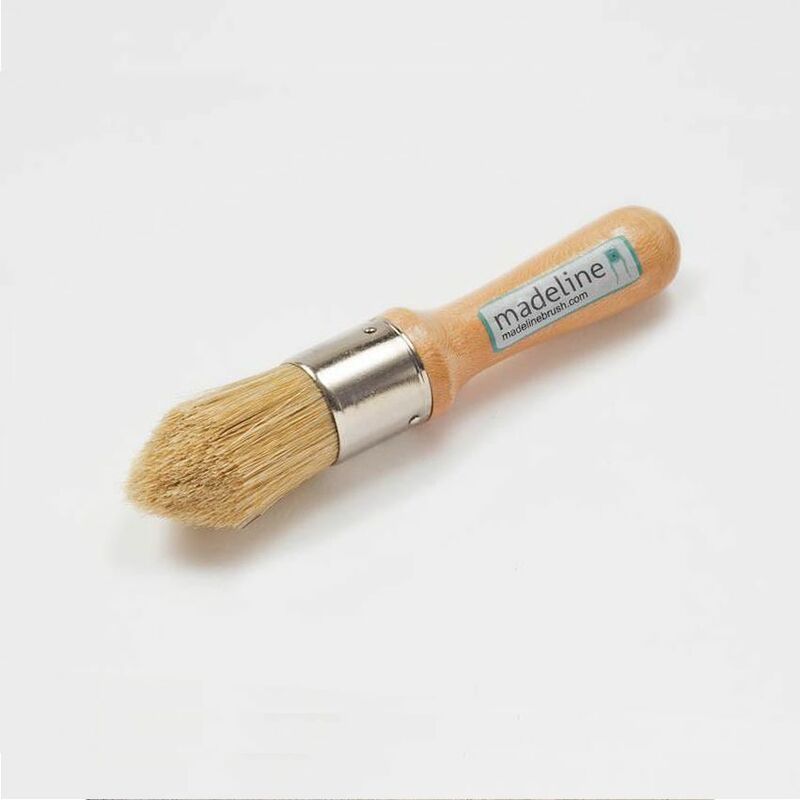 MEDIUM: The best all-around brush, and a great place to start. 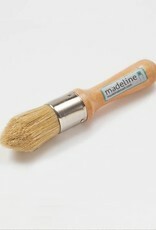 It has a flat tip for all-over wax application and 1.5″ circumference of 100% natural bristle. Can be used for either clear or dark wax. LARGE: For bigger projects. 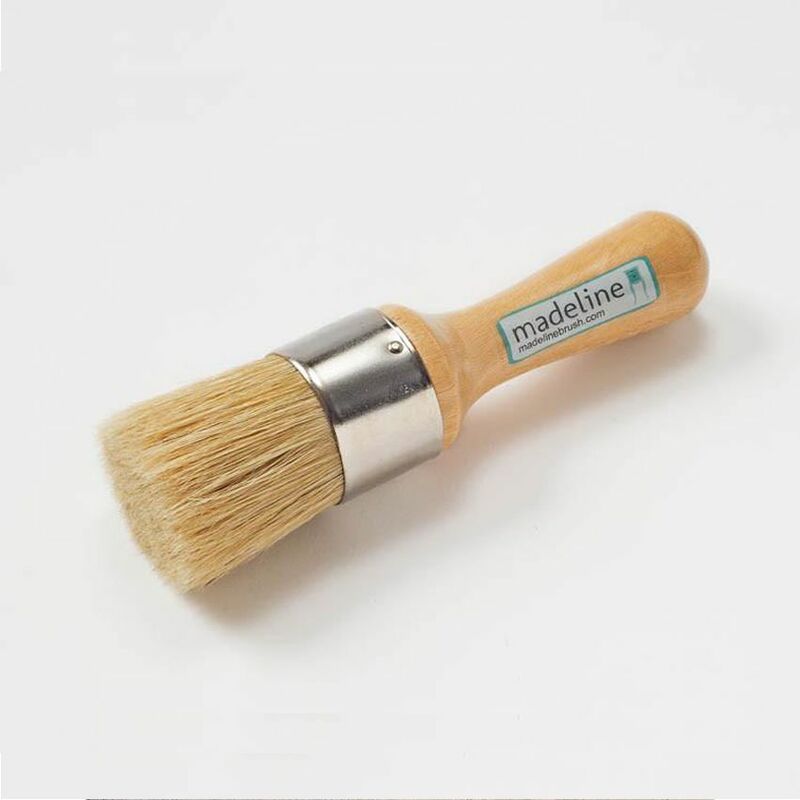 A full 2″ circumference of high-quality 100% natural white bristle and a flat tip will help you wax your pieces quickly and beautifully. 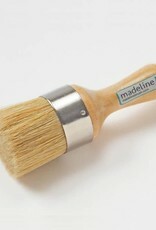 MINI ROUNDED: A sweet, rounded tip to help you get your antiquing wax into even the smallest of details. 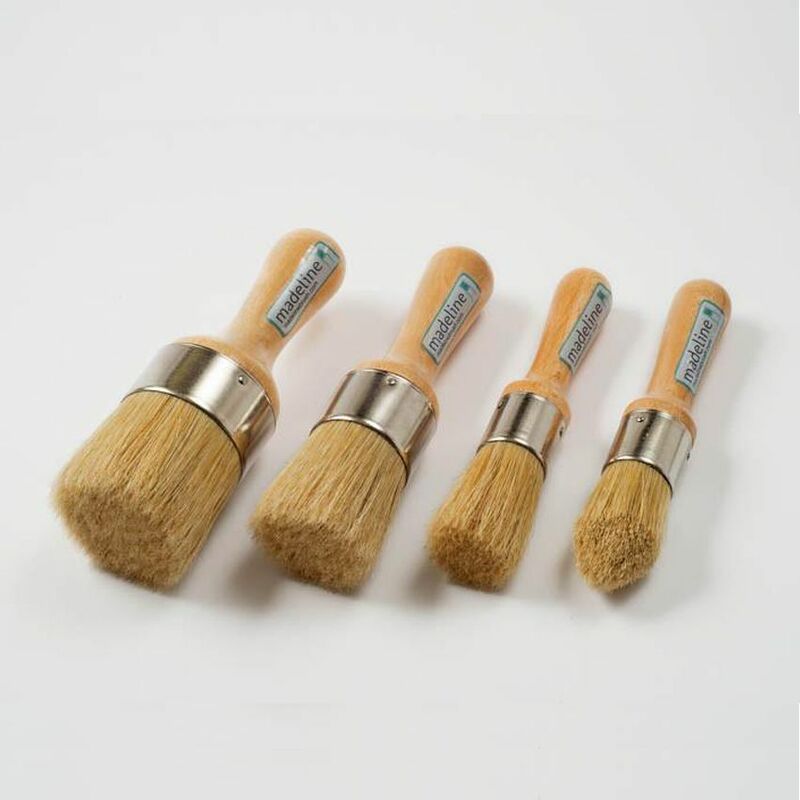 Hand-contoured and measuring 1" in circumference, we prefer it for small areas and dark wax, but it can also be used for clear. And it's also the perfect size for small containers of wax!